Calgary’s brightest holiday tradition is back celebrating its 20th year and we’re positive it will be our brightest yet! 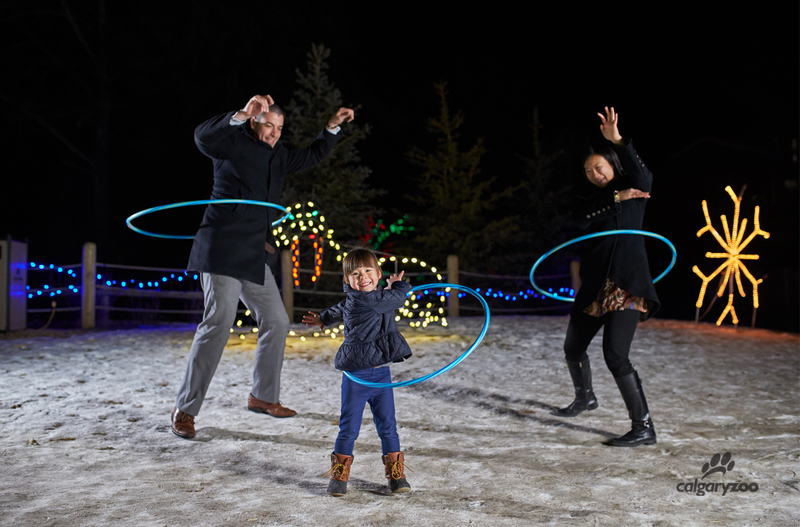 This year’s ZOOLIGHTS, presented by JSS Barristers, includes all of the classic activities we love and new ones designed to light up the night. 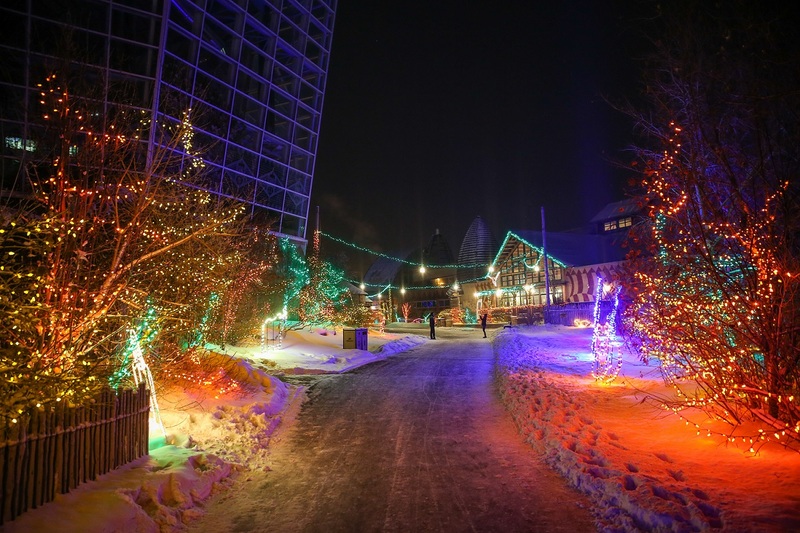 The glow starts here at the Calgary Zoo, with classic holiday activities wrapped up in the perfect winter outing- ZOOLIGHTS. It’s the perfect time of year to get together with family and friends, and make new seasonal memories. Bundle up during November 24, 2017- January 6, 2018 and share the holiday cheer. We’ve put the glow on five holiday traditions you already love! 1. Christmas lights – Enjoy 1.5 million Christmas lights displayed throughout the zoo, including over 200 light figurines and a variety of interactive and choreographed light displays. Forget mistletoe, these lights inspire unforgettable romantic moments at each turn. 2. Playing in the snow – At ZOOLIGHTS guests can play in the snow in one of our great activity spaces, with our Build a Buddy Snowman and more! 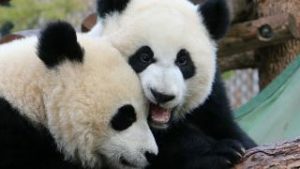 This year features fun zones based on animal adaptation, migration and hibernation. Do you like to burrow in the snow? Each year ZOOLIGHTS highlights new games and activities, as well as old classics. There’s fun for everyone! 3. 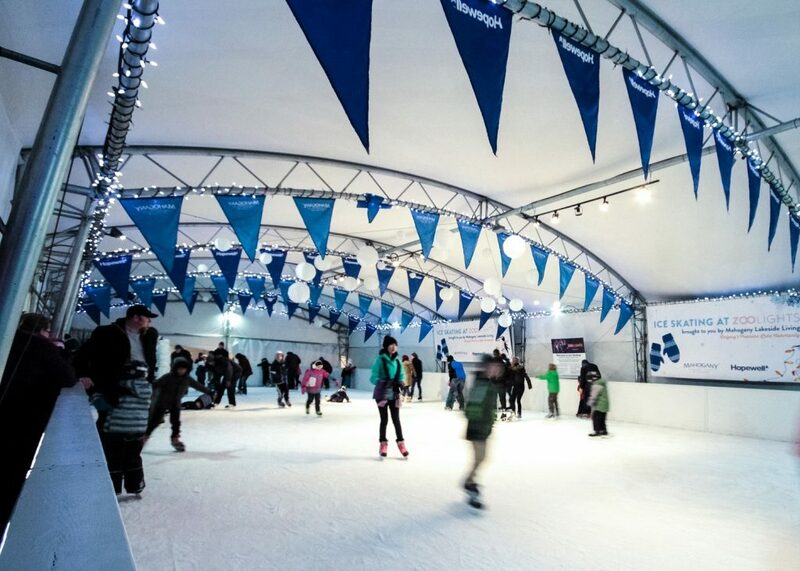 Ice skating – Enjoy our lovely skating rink, brought to you by the Calgary Hitmen with FREE skate rentals for all ages, from KidSport Calgary. Make it a dance party on the rink with our DJ on Friday and Saturday nights! If you want to bring your own skates, wagons are available to rent. 4. Sitting by a fire sipping on hot chocolate – Like a warm winter hug, nothing beats getting cozy in front of a fire. 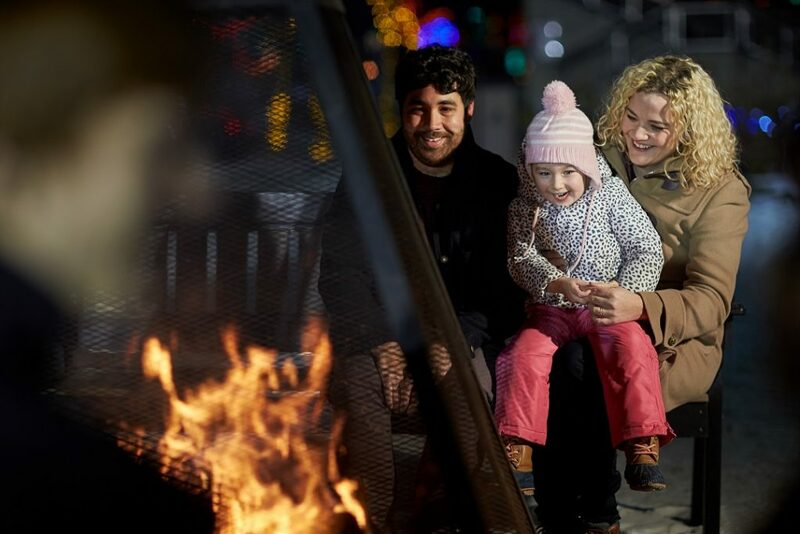 Warm up at our six big fire pits spread throughout the zoo. Volunteers will be delighted to engage you in stories of what’s new at the zoo or holiday classics. Hot chocolate is readily available between your fire pit stops. Hot tip: remember to bring your ZOOLIGHTS mug or pick one up when you arrive. Refills are discounted at all concessions locations for reusable mugs and bottles. Plus, Kitamba is open with other snack and beverage options. 5. Visit with Santa – Bring your smart phone for a FREE photo with Santa. 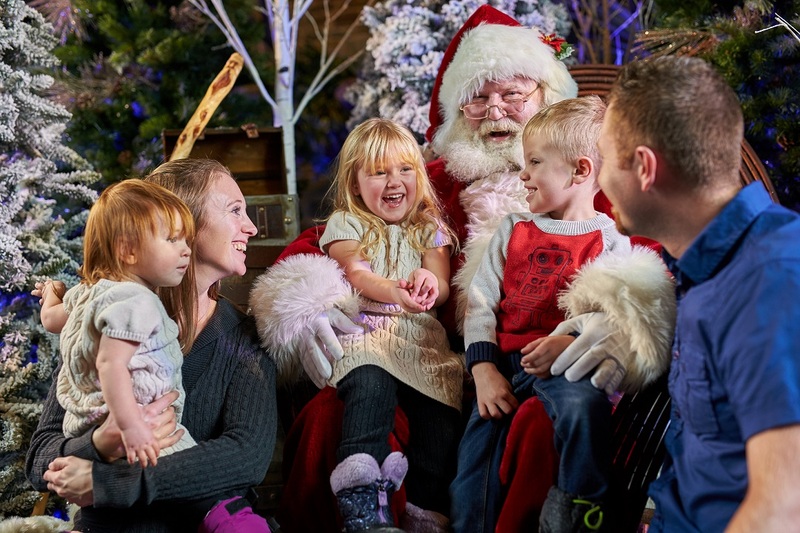 Find Santa in the magical world of Wonderland located in the ENMAX Conservatory until December 23. Keep your eyes peeled for visits from the Mad Hatter each Thursday. Like a warm winter hug. There’s so much to take in during our ZOOLIGHTS celebration—you’ll be so busy making memories with family and friends that you’ll forget about the cold. ZOOLIGHTS is the ideal place to bring visiting relatives, make a memorable night with your family or take that special someone on a date. Come get your glow on. Learn more about the ZOOLIGHTS holiday tradition, and make cozy memories of your own. Your visit to the zoo helps support wildlife conservation and lends a hand to sustain wildlife and wild places.